Paddle a canoe along any Maine river or pond and you'll surely see camps adorned in lattice porch trim. These crisscrossed wooden strips take new shape in Furniturea's Lattice collection. Stylized headboard angle back for maximum comfort. Made to order according to the height of your mattress for a perfect fit. 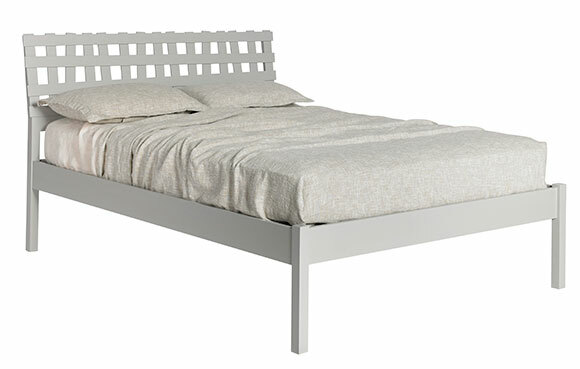 Lattice Queen Platform Bed shown in Dove. Available in Twin, Full, Queen, King and custom sizes.